One of my favorite pies is a Key Lime Pie. It takes a bit of work as you have to make a pastry crust that has to be baked ‘blindly’ before baking it with the filling, but it is worth it. A pie that is almost as good is this very easy Lemon Chess Pie, from RemCooks.com. 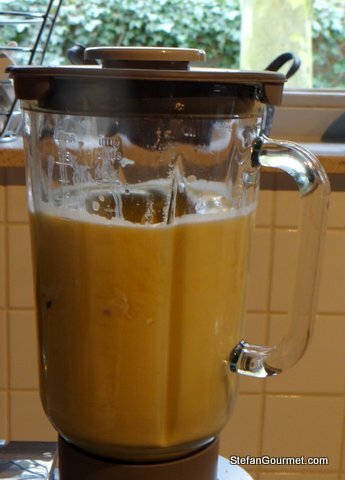 The texture is like velvet and it has a very nice sweet lemony flavor. I had never heard of a Lemon Chess Pie before. The difference with my Key Lime Pie is that it does not have a separate crust. The crust and the filling are one. This also makes it a very easy pie to make: just blend all the ingredients together, pour them into a buttered pie dish, and bake. It is that easy. Thanks to Baby Lady for this great recipe! When I first saw this recipe, I was surprised at how easy it looked. I tried it, and it turned out great! 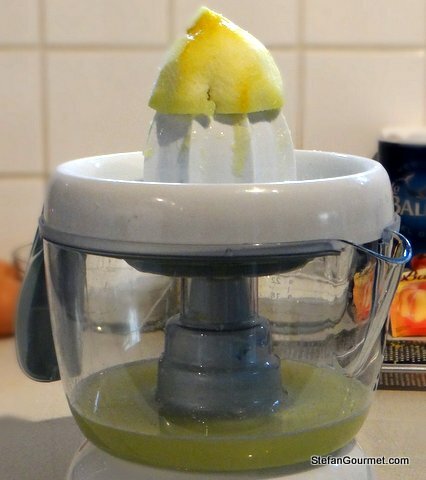 Of course it is very easy to substitute lemon with lime and turn this into a faux Key Lime Pie as well. 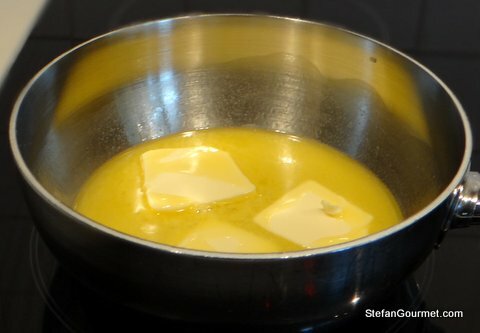 Melt the butter and allow to cool. Preheat the oven to 180C/350F. 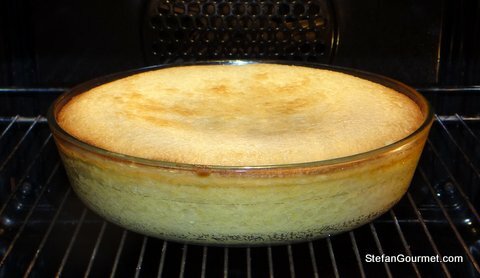 Butter a 24 cm (9″) pie dish. 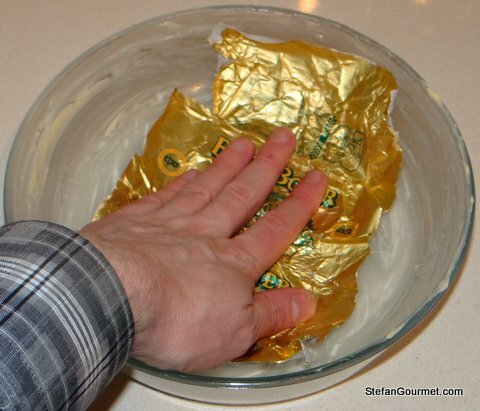 An easy way to do this is to use the butter wrapper. Since this post is dedicated to Baby Lady, there had to be some pouring shots in it! 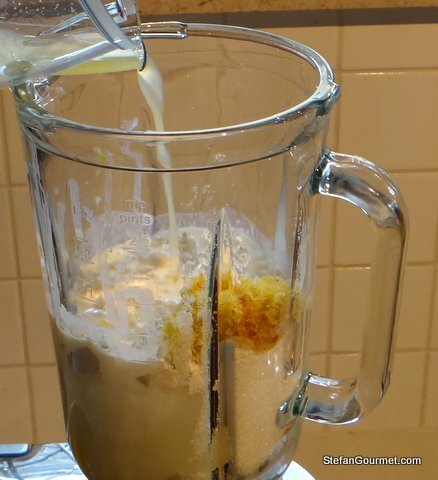 Pour this into the buttered pie dish. Put into the oven at 180C/350F (static oven, not ventilated). It looks nice to sprinkle with confectioner’s sugar before serving. If serving as a dessert, I would recommend Moscato d’Asti as a superb wine pairing. This pouring shot thing is beginning to get me down. Everybody is at it! Lovely pie even if I am not impressed with the pouring shots! 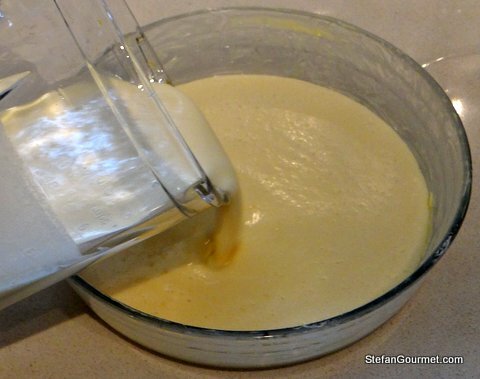 I am not sure about this recipe, but I have been substituting buttermilk with sour milk (mix 1Tb vinegar in 1 cup milk and wait for ~5min) successfully in recipes so far. My son says he wants to make this pie sometime this week. I will let you know how he does. He loves all lemon desserts. Great! I think he’ll love it! I avoid it too! I want to know what goes in there. Cooking (and baking) from scratch is my thing. Hi, Stefan. 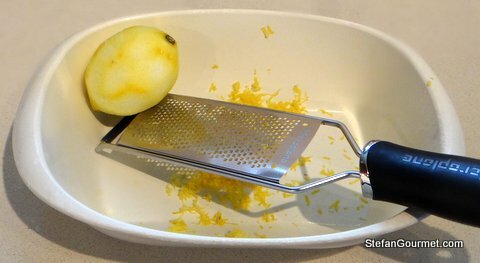 Baby Lady is tickled you posted her easy to make lemon chess pie. I don’t think I have ever seen a more simple pie to make and it tastes really good. 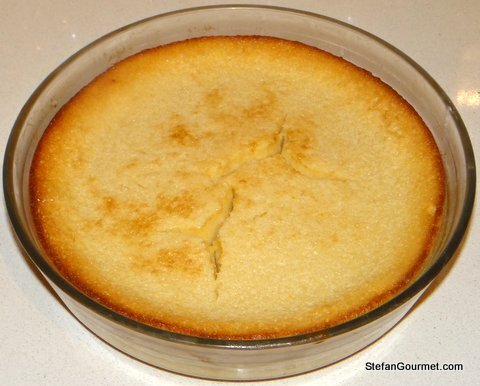 One of these days I am going to post a completely scratch lemon chess pie with traditional crust and all and compare it to the easy one in time, difficulty, quality and taste differential. It should be fun.